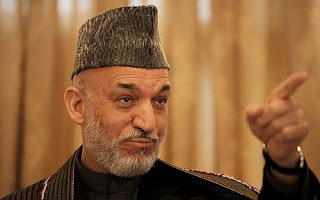 Few days ago Afghan President Hamid Karzai claimed that Western and US Governments are trying to weaken his government and Nato Forces are converting into occupying forces for Afghan People. After the speech of Hamid Karzai US officials showed their concerns on speech of Hamid Karzai. US Government official Robert Gibbs said that the comments of Hamid Karzai are really troubling and created concerns. Yesterday Afghan President Hamid Karzai took a U-turn and talked with American american secretary of state Hillary Clinton and called his statements about Western and US Government a joke. This conversion continued for 25 minutes in which Karzai tried to explain his statement.